you do to make your small business more appealing to a younger potential employee? In episode #131, Gene Marks and Elizabeth Larkin offer several recruiting strategies that can help you target a younger demographic. employees is to emphasize its charity and volunteer work. This gives your potential candidates a sense of your values. 4:44—Due to the popularity of video-driven content among younger audiences, small business owners can benefit from creating their own YouTube and Facebook channel to promote their work. 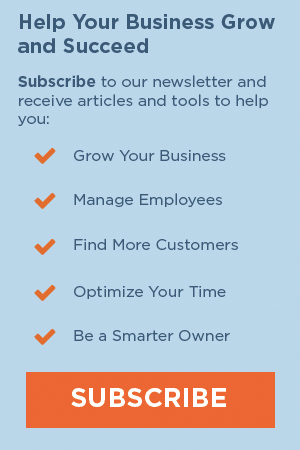 9:53—Offering a competitive benefits package is another way to attract younger candidates. These benefits should include flexibility, childcare, and student loan repayments. 17:09—Small businesses should also consider partnering with local colleges so that they can offer part-time work to students while they are still in school. 20:59—Gene encourages business owners to follow the American Chemistry Council because their chemical activity barometer is an excellent predictor of the economic climate. 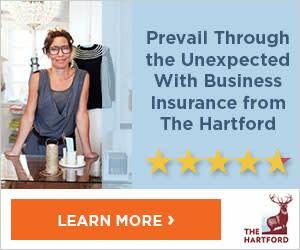 Elizabeth: Welcome back to the Small Biz Ahead podcast, this is Elizabeth Larkin from The Hartford, and I’m here with Gene Marks, who is the owner of The Marks Group. Elizabeth: A small business owner. Elizabeth: And our small business expert for The Hartford. Gene: But I’m not young, and we’re talking about recruiting young talent. Elizabeth: We’re not trying to recruit baby boomers. Or sorry, you’re a Gen-Xer. Gene: Yeah. It’s kind of between, is it Gen X between baby boomers and the M-word. Elizabeth: The M-word. So we’re not going to talk about Millennials today at all. Gene: I don’t want to even bring up the word. You brought up the word and I didn’t even want to. Or Gen Z or, whatever. We want to talk about some thoughts on recruiting younger employees. Gene: And that encompasses everybody. No labels. Elizabeth: Okay. Great. So, after we hear from our sponsor, we are going to talk to Gene about how he goes about doing this at his small business, and I’ll tell you a little bit about what The Hartford does, because I think that might actually be interesting to see small business owners. We’ll be right back. QUESTION: How Can You Recruit Young Talent? Gene: Hugely important, I agree. Elizabeth: Is: what kind of company am I signing up to work for? Is this an ethical company? Do they give back to the community? Do they care about different cultural groups? Ethnic groups? And The Hartford does, so we really put that at the forefront of all of our recruitment. Gene: You bring up a great point, and let’s actually expand on that a little bit because, again, putting aside labels on generations, younger generations, younger people, want to work for companies that are socially conscious and giving back. In report after report, study after study, that’s what they like to do, and companies like The Hartford are responding. Other companies like Salesforce.com, I’ll mention them, they offer paid time off, like five days a year paid time off for volunteer work. Elizabeth: Yeah. The Hartford does as well. Gene: And they give money, do you guys do this offer? Salesforce gives money to a charity of your choice. Each employee gets to pick a charity and then Salesforce … So, a lot of the big companies mimic each other in some of these benefits, but, I’ve got news for you. They’re doing it for a reason. Gene: No, you don’t. But you know what? I think that you borrow those same ideas from the big companies, and then you just tailor them to what you can afford. So, okay, you can’t afford to give five days off a year for volunteer work. Elizabeth: But you can give one. Gene: You could give one, or even a half day. Even just doing that is a really good story to tell. And, all right, so you can’t afford to give 1000 dollars to all of your employees to their favorite charity. How about 50 bucks or even 100 bucks to their favorite charity? I think it’s just important to show that you think it’s important. Elizabeth: Yeah, and their birthday. They get 100 dollars, you make a donation in their name. Gene: Absolutely, and people are really into that. You know what I mean? You know, it’s funny, different employees expect to see different things. My son just started at PWC, which is Pricewaterhouse, it’s a big accounting firm. Besides the paid time off stuff, which we can talk about, they have a really interesting health and wellness plan, which I betcha The Hartford does too, and it’s one where everybody has an app and if you eat certain ways and have a certain number of steps or whatever at the end of the year, they get a few hundred bucks back, whatever. Younger employees love that stuff. Elizabeth: Talking about it in your recruitment strategy. Gene: Good point. Good point. Elizabeth: So, let’s say there’s an annual 5k walk to end hunger in your town or city or something and you’re one of the sponsors. That’s just something you wanna put out there to potential candidates. You’re already doing these things. Gene: Couldn’t agree with you more. Elizabeth: And the thing with that is that that’s actually great advertising for you at the same time. Gene: So let me expand on that. And let’s stay on the topic of community. So, I have some clients that not only do that, but they make a big deal about it. Now, 80% of the internet now or sometime in the near future is video-driven. Elizabeth: I think you’re scaring all of our listeners, Gene. Gene: Well, no, no, no. Whether you have a YouTube site, you have an Instagram page, something on your Facebook; people need to have some type of video presence. Now, we talk about giving back to the community and advertising that. When you go to the picnic that you’re sponsoring, the church breakfast, the not-for-profit or whatever. Somebody should be videoing snippets of that and you should be posting it onto your YouTube or your Facebook or even if you have an Instagram as well. I have one client that, when the employees go out and do volunteer work, they ask that the employees take selfies from wherever they are. Either little videos or just a photo, and they post that on their website as well. And the reason why is this: you’ve got customers that visit your website and it gives them a good idea of the kind of culture that your company has. But, prospective employees, they find out about your company, where’s the first place they’re going to go? To your website. And they’re like “Wow, look at these guys, they’re very community conscious and driven, and their employees are out at these events and all.” It draws a younger audience in. So, I think video is very, very important to advertise what you’re doing. Gene: I don’t believe that. I don’t believe that. Come on, you don’t have a phone? People don’t have an iPhone? You can’t take a short video? Elizabeth: Well, what is a small accounting firm going to do? They’re going to have a YouTube channel? Gene: Yes. Yes. They’re going to have a YouTube channel. Elizabeth: And have what on it? Gene: It’s free to set up a YouTube channel. It’s simple to just have a link to it on your website. Elizabeth: With just a yearly video of the fun run they sponsor? Gene: No, because I think what you do is, if you set up a YouTube channel, I think somebody in your office should be saying “Listen, we wanna have at least once a month some type of video that’s contributed to our YouTube channel. Twelve a year is all we’re asking.” Maybe that video is just, we ask for our client testimony. Or we speak to the owner, talking about the trends in the accounting industry or giving a tax tip a month. And we include our employees when they’re out on some volunteer activity or whatever. It’s not that hard to fill up a YouTube channel with five or ten minute videos to make it something to look at. And then, I think again, people expect to see this nowadays, Elizabeth, I really do think so. Elizabeth: You’ve got a lot of news for us today. Gene: Well, it’s 2018 and I think that this is the kinds of things … this is a conversation about attracting younger employees, so this is the kind of stuff that companies are doing. Gene: Organization that we support, things we’re passionate about, sure. Elizabeth: Where you’re advertising these things. Gene: Yeah, you do. You really do. Gene: By the way, your Facebook page as well. A lot of people do Facebook only. Gene: So, you can be putting that on your Facebook page. The little videos. Elizabeth: Definitely. Actually, I was thinking about my dentist, who I talk about all the time because I just think they’re such a great small business. Elizabeth: They have a Facebook page. They have nothing on it. Gene: They have nothing on there. Right. Elizabeth: But they do have, all over their office, “We support this local …” They sponsor a softball team, a girl’s softball team. Elizabeth: They have those things around the office. Gene: Sure. See, now, if I was that dentist, I would be hiring a high school kid or a college kid for just a couple hours a week, and then just saying, “Listen, every week I want like a five minute video. Interview one of our patients or interview one of our dentists. Or, we’re going to be at this event or whatever. Take just a five minute, with your iPhone”, and then you post it up there. I just think it makes it so much more fun and, if you’re looking at dentists, it just brings in the community a lot more. I think it’s not just a fun thing to do anymore, I think it’s essential for a small business. I really do. Elizabeth: Okay. I don’t care if my dentist has videos on their website. Okay. Gene: Well, that’s because you’re not a twenty-year-old or a twenty-five-year-old anymore. Gene: Trying to attract that younger audience. Elizabeth: If her dentist has a YouTube channel or not. Gene: You ask Hannah. And Hannah, you know what to answer, okay? Elizabeth: Okay, so, summarizing so far, we’ve got: put your best foot forward with what you’re doing in your community and for your community. Elizabeth: That’s an awesome benefit. Gene: Right. For their existing employees and because they’re trying to attract new employees and people are having kids. It’s a huge issue. Gene: They’re paying … I forget the name of the daycare facility. Gene: They subsidize it. They’re paying for the daycare. And, by the way, there’s tax, we won’t get into the details. That’s another conversation. But, there’s tax benefits for doing that as well, you can get deductions for doing it. Whatever the employee pays, a lot of times people don’t realize they can get a credit for dependent care. So, you can make it almost free for the employee and a tax benefit for the employer, you. So you’re recruiting that person and you’re like “If you have young kids or you’re expecting to have young kids, we’ve got you covered”. Gene: And that’s a really popular … now, other companies give lots of time off for new parents. Netflix gives a year of time off. I betcha Hartford, I’m sure, has got great … So, Netflix, Bank of America does. All these other different companies have these … the paid time off for new parents, in particular. They make it, it’s not a gender thing, it’s just new parents. And that’s a really sought-after benefit for younger employees. Elizabeth: Now, what about benefits for people that don’t have kids? Let’s say you’re 23, you’re not planning on having kids until you’re in your late 30’s. Elizabeth: And do you think that’s something you do at The Marks Group? Elizabeth: As full-time employees with benefits and everything? Gene: Yeah, as employees, yeah. And I’ve been failing with them. I’m not going to blame them or their generation or any of that other stuff that I hear. It’s me. If I was doing a better job and providing a better, more challenging, more flexible work environment, I think I could hold on to more of those employees. I’ve got to do a better job at doing that. Elizabeth: Talking about benefits, though, got me thinking about, again, back to the job description. We’ve talked about writing job descriptions before. When you’re writing the job description, you have to tell people what the benefits for them are going to be working for you. Elizabeth: So, for instance, you have to talk about “Yeah, we want all these skills”, but think about: we don’t just want marketing skills. You need to have so many years experience in marketing. Elizabeth: You say “You’re going to sharpen your marketing skills in this type of position”. Gene: Agreed. Agreed. We will provide you training and certifications that will elevate your marketing skills. Gene: We are a company that is socially conscious and prides itself on giving back to the community. We’re a company that believes that employees should spend a good, balanced amount of time home with their families, and we encourage our employees to … that kind of stuff. Gene: Another benefit is student loan repayments. Elizabeth: Student loan repayments, a little help with that is expensive. Gene: It’s expensive though, yep. Gene: It’s possible, and there’s nothing wrong with that. Or maybe, they just want to work from home or work from a coffee shop that day, because this is, again, we can all be mobile and do that. Now, there are some industries where you just can’t do that. I speak to a lot of manufacturing groups, and they struggle, because they’re looking for bodies on the floor, running the machines. Elizabeth: Yeah, I was going to say, how do those people do it, though? Elizabeth: Restaurant. You have to have people there. Gene: If I had a silver bullet for that, I’d love to share it with you, but I don’t. I’ve heard people try everything. I have one guy who’s telling me that he has shifts like a nurse. You work on the floor for three ten-hour shifts or three twelve-hour shifts a week and then you have the next four days off. Gene: We offer the whole new parents thing. You can’t add that flexibility and mobility as much as service firms can. So different industries definitely do struggle with those kinds of things. The problem is that it’s a generational shift right now, and you have a lot of generations that don’t want to get their hands dirty and work on the floor. They want to try their hands at other stuff. They want to work at great companies like The Hartford. Elizabeth: Yeah, oh, definitely. Yeah. Gene: They learn that working for mom and dad isn’t so bad. Or that this is a nice little business and there’s nothing wrong with a hard day’s work and getting dirty on the machine floor. Elizabeth: And that’s why so many small businesses like manufacturers are trying to get, I think it was called the ‘blue wave’. They want to hire retirees out of retirement. Because those people have absolutely no problem standing on a line all day. Gene: No. And they’re retrofitting their shops to accommodate that. They’re putting shelves lower. They’re literally making pads around some people for their creaky knees. And chairs are lower to the ground. I’m telling you this, a lot of companies are retrofitting themselves to accommodate an older generation of workers. But for the younger generation, there’s a whole generation of people that have addiction issues or substance abuse issues or whatever. There are some companies that invest in those kinds of people and will pay for treatment or will work with whatever facility that you’re in to try and get you back into the work force. And then you find–it depends on the person–but when you get that right person who then catches, they tend to be loyal, more loyal for long-term than just the typical person that comes in and out. So, again, if you’re listening to this, there’s no one answer to any of these questions. We’re just sharing ideas of things that other business owners have done to try and attract those younger people and then keep them around. Gene: Yes, co-ops or internships. Elizabeth: Co-ops. Yeah. When they’re in college. Gene: That’s exactly what you meant. Now, be aware, if you’re going to do a co-op or an internship, you gotta pay. These aren’t free things. Elizabeth: Well, they’re doing work, right? Gene: Yep, they’re doing work. And you’ve gotta bring them in, you can evaluate them that way. And, colleges are big-time into that. And do not be snobby about the kinds of colleges. You will absolutely get just as qualified a worker and good a person from the community colleges versus the Ivy Leagues. Gene: I mean, trust me. Don’t leave it at that. But I think that’s a great idea. And you want to try and bring kids in on work programs where they can learn and then you can kind of develop them. Again, the thing that you have to realize, I’ve realized this, is: the whole point of being young is that you are more free and have more flexibility and your life is out in front of you. And along with that means that you’re probably not going to have, it’s very rare, if ever, like a kid’s going to join you at the age of 22 and he’s still going to be working for you at 42. Gene: I mean, people, they want to check out the world and check out new jobs and new opportunities. So, I think you have to go into a relationship with that atti- … don’t take it so personally when that employee leaves you to do something else. Elizabeth: And they might be back. Gene: Stay-at-home dads. Yep. Sorry. That might be a more stable answer for you. So, these are all choices that you have to make. Gene: Who needs them. They seem like a big pain. Elizabeth: Community and giving [crosstalk] back to the community. Elizabeth: Advertising it in as many places as you can in your office, in your job descriptions, on your YouTube channel or social media. Gene: Right. Emulate big companies and come up with your own version of that. It doesn’t have to be as lucrative, but something close to it. Elizabeth: Think about your benefits. What could you do that would give you a tax break but would be really great for your employees? Gene: That’s correct. And, again, that’s another conversation. I’ve been talking about this, actually, doing some presentations on all these tax breaks that companies aren’t even aware are out there. Elizabeth: Well, why don’t we do an episode on that? Gene: We have to do more than one episode, actually. Elizabeth: And then the third idea we had is to work directly with our local colleges. Gene: Correct. And we forgot to mix that in there: PTO–paid time off–is a big thing. Gene: Particularly for new parents. Daycare for new parents. These are the younger generation. That’s what they’re … paying back student loans. Big things. Elizabeth: Definitely. And then, finally, we just decided, maybe you don’t even want to work with these young people. Gene: Yeah. Yeah. I’ve got kids that age. You know, avoid them. Elizabeth: We’ll be back with a word of brilliance from Gene. Gene: Three words, but one topic: chemical activity barometer. Gene: How exciting is that? Elizabeth: I thought it was if people stopped buying underwear or something. Gene: No, that’s a whole other barometer that Alan Greenspan likes. That’s not a bad one either. But this chemical activity barometer is one that, if you’re a business owner and your job is to always be looking ahead, your job is to be making sure that you’re aware of where things are going in case you have to make some … you have people working for you that are relying on you making these decisions. If you follow just the chemical activity barometer, I believe that you will know–and many economists believe this too–that, in advance of a recession coming, you will have a tip-off that a slow-down could be coming. Because when the chemical industry starts slowing down, that right there is foretelling all other industries are going to be not too far behind it. So, check it out if you want to know when the next recession is going to come. Gene: That’s my word of the day. Elizabeth: All right, we’ll be back in a couple days with our next episode. ← What Is Balance Sheet Analysis?